My yard is always full of my family and friends. As I walk outside I am greeted by Woody Platt’s Sundrops, Grandma’s Tiger Lilies, and Mom’s Cleome. I take care with these special plants. To ensure that they stay with me, I save the seeds to plant next year. 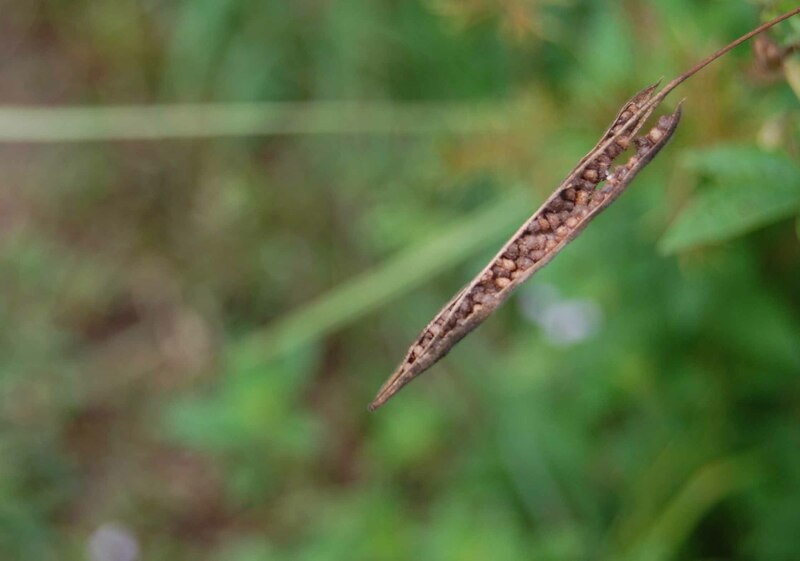 This is the time of year when the seedpods are brittle and dry. That’s when you want to collect them. 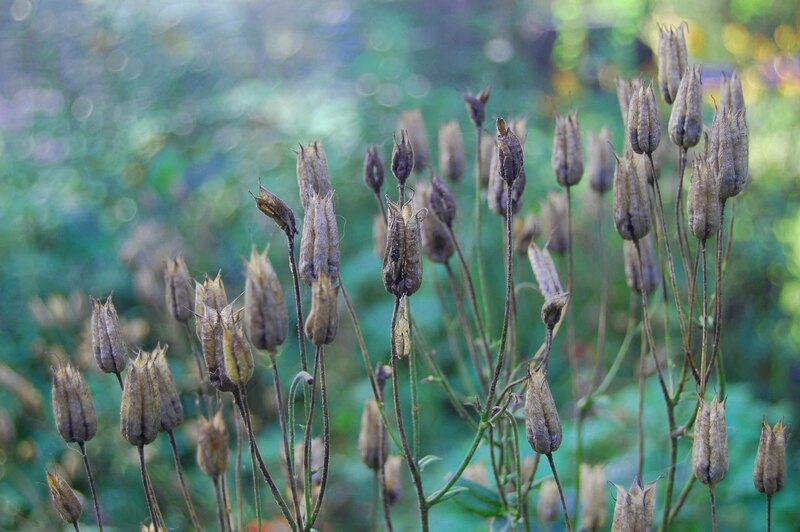 The Cleome seeds above are ready to be harvested. I’ll hold a large, clean, dry Tupperware container underneath and brush the seeds into the container. Columbine seeds work the same way. Collect them when the pods are dry and brittle and look like the picture above. I store my seeds in a labeled #10 envelope. 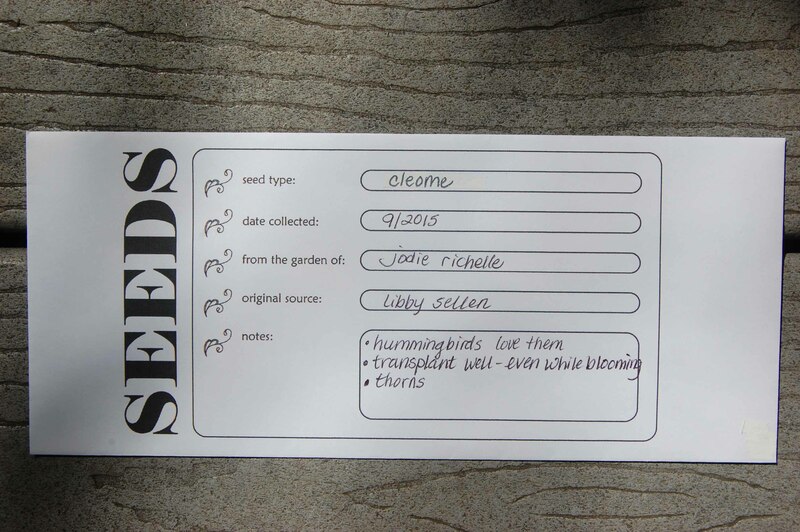 Seed Collection Envelope Here’s a pdf to download to print your own envelopes. It is set up for my printer, which feeds envelopes vertically on the right. I can format it for different printers; just let me know. 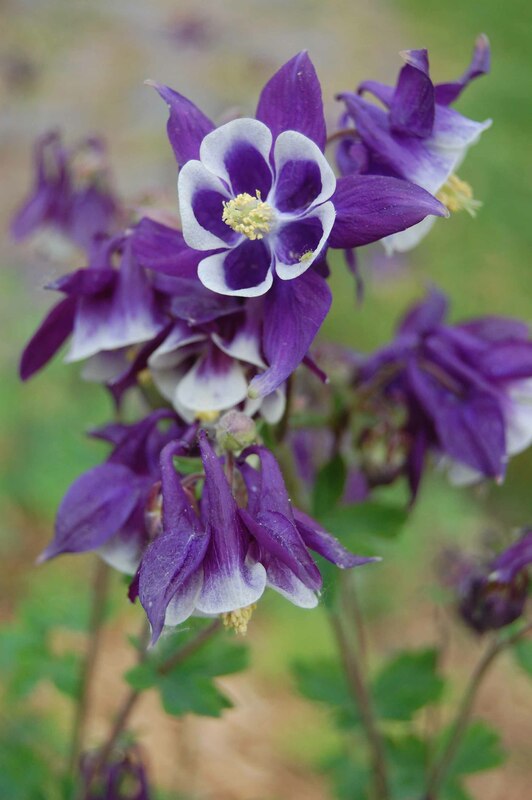 Loving that columbine! Great seed packets, thanks! Thanks, Cynthia. Glad you like the seed packets – they add a bit of pretty to the utilitarian. I’m always up for that! Thank you! It’s been a beautiful summer. “My yard is always full of my family and friends.” What a charming way to put it. Makes me wish my yard was too. Thank you, Derrick. I’ll forget to buy dog food, but I’ll remember who gave me the Lamb’s Ear (my mom) ’till the day I die. That’s a great idea – I was just admiring the day lily pods yesterday – beautiful. Oh, and I’s sorry about the heat! We are at 85 today but this is New Jersey, not Maine. The nights and mornings are cool and the humidity is low – so I am feeling happy. We are in the thick of seed saving as well, love your envelopes! It’s always so fun to start planning for next year, isn’t it? This year I FINALLY got a good crop of Blanket Flower – after YEARS of trying – and the reason was I saved so many seeds & the plants came up so many places that even our big dog couldn’t kill them all. 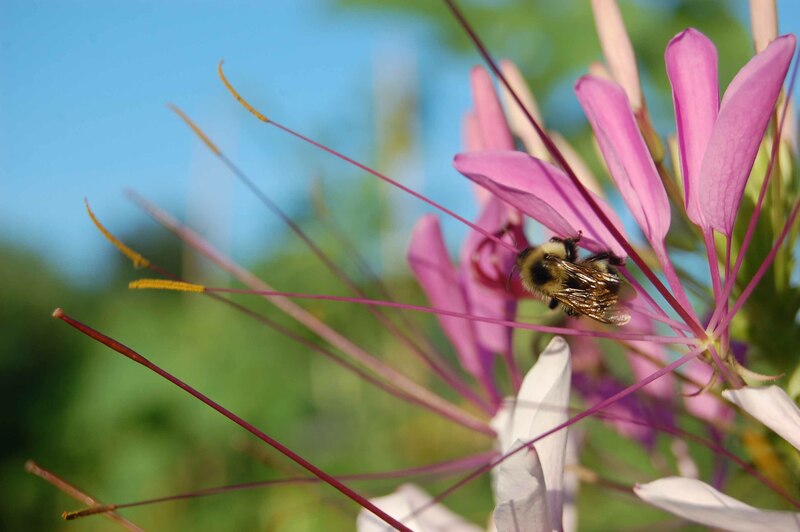 I love Cleome. I use to have them in Michigan. I wonder if they would grow in Seattle? I’ve seen them in Vancouver but never in the nursery here. Let me know if you are feeling adventuresome this Spring. I’ll send you some seeds & you can give it a shot.